← Chester Eastside’s Summer Enrichment Camp: A time for fun – but for learning, too – News from Chester Eastside, Inc.
Peace Leadership & Arts Camp gives Chester teens a chance to connect with their roots and see the possibilities in their lives – News from Chester Eastside, Inc.
For some campers, it was the thrill of meeting a real live movie star, Michael Ealy. His message to the teens: See what you can become. For some, it was the trip to Washington, DC. 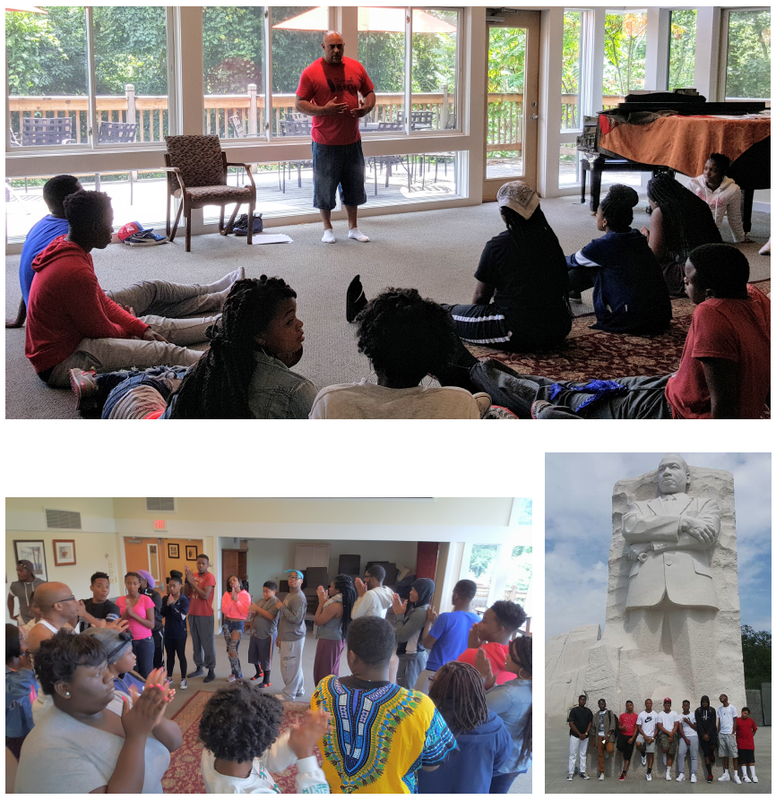 ; visiting the Martin Luther King Memorial and hearing from an administrator at the Smithsonian Institute about opportunities for high school and college students as interns. For some, it was getting connected with their roots and seeing possibilities they didn’t know existed. But first-timer Taliah Rooks saw it more in personal terms: being able to stand up in front of a lot of adults, overcome the stage fright, and make a presentation like a pro. “I also liked it when we partnered on the obstacle course and helped each other through it.” It was another new experience for Taliah. At the final celebration on the grounds of the Chester Friends Meetinghouse in late August, all those threads came together in a series of presentations that included original songs and poems. The remarkable thing to PL&A Assistant Director Nate Thompson was the fact that the young people were able to pulled it off after only a few weeks’ preparation. Copies can be purchased by clicking on folukebennett@gmail.com or on Create Space at https://www.createspace.com/5687468.